Two years after the regional parliament in Barcelona voted to ban the corrida de toros, known in English as bullfighting – although not other forms of ‘playing with bulls’ – throughout Catalonia, it looks increasingly like this will piece of legislation will be overthrown by the federal government in Madrid when they, following France, make the corrida a matter of protected cultural interest. 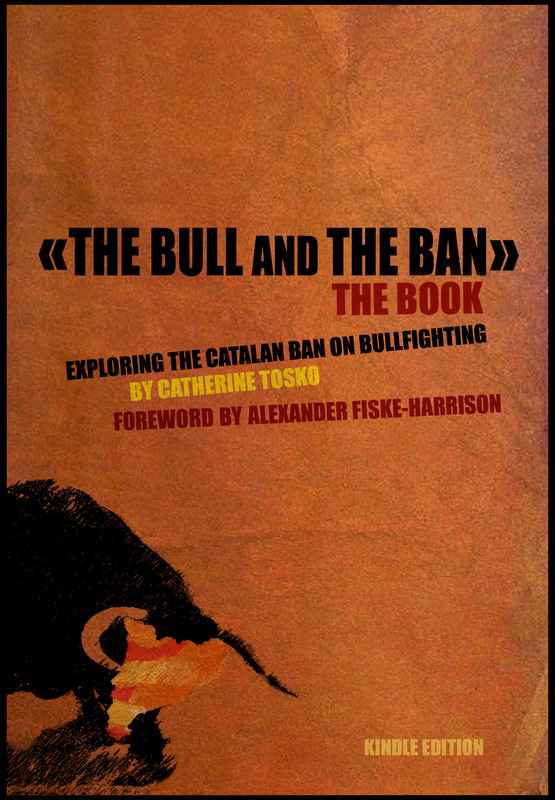 It is interesting to review the arguments on both sides in this matter, and, despite asking me – who am avowedly anti-ban not least because I am politically a liberal – to write the foreword, the most balanced book produced on the subject remains the series of interviews with animal rights groups, bullfighters, politicians and journalists by Cat Tosko. Just take a look at the contents list below. I also enclose my foreword in full. The book is available as a paperback or eBook for £5 at Amazon UK here, or Amazon US for $8 here. Foreword by Alexander Fiske-Harrison – author of Into The Arena: The World Of The Spanish Bullfight. Introduction by the interviewer, Catherine Tosko – documentary filmmaker and former Animal Rights activist. In this book you will find the entire range of views on bullfighting represented in a series of interviews – from those who are completely against it to those who are completely for it – backed by the strongest arguments they can give. And although in my own interview I give the views I have come to hold after two years in Spain researching my own book on the subject – namely against any form of ban, but with grave misgivings about the cruelty of the activity – I have actually inhabited each position given at different times along the way.